SunFarmer’s Nepal office opened in May of 2014 and this has by far been one of the biggest steps we have taken. Having an office in Nepal is important, and in fact, necessary. In order to do our best work, we need to be close to our project sites, our partner organizations and our support team. The Kathmandu Valley is home to 2.5 million people and the region is growing fast. In fact, the Kathmandu Valley is one of the fastest growing metropolitan areas in South Asia! 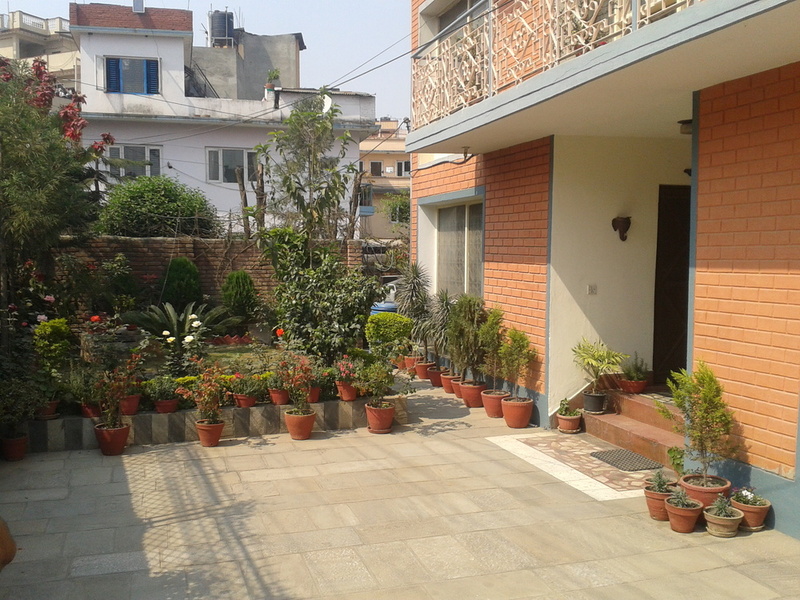 Our office is located in a neighborhood called Sanepa in the Lalitpur District of Kathmandu. Many tourists make their way through our district because of Patan Durbar Square, a very popular UNESCO World Heritage Site that houses an ancient royal palace. The region’s rapid urbanization brings certain challenges to our daily life and operations, one of which is power shortages. At our office, we face power cuts of around 9 hours per day! We have installed a small solar backup system that allows us to go through the day without any disturbance. In addition to providing us with much needed power, the solar system doubles as a model when clients come to visit. This allows us to show the technology to clients in person and gives our clients the opportunity to ask questions and make educated decisions. Having an in-house backup solar system has also given us the opportunity to develop a remote monitoring system. 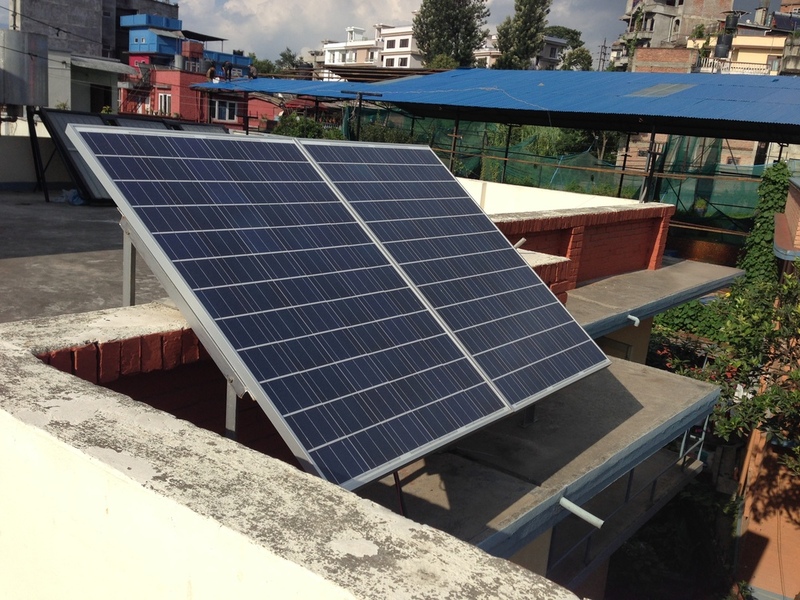 The monitoring system is still in the R&D phase, however, once it is complete we will be able to see how our solar systems in Achham, like the Lungra Health Clinic project, are functioning from hundreds, even thousands of miles away. Construction is another common sight in Kathmandu and we had sewage and drinking water pipe construction in our neighborhood for several days during the month of July. As anyone who has been to Kathmandu in July can tell you, the rainy season here is not pretty and it made the construction all the more difficult to navigate. We couldn’t take our cars to the office building and had to park on the curb throughout this time. It might sound bizarre, but we had to walk through the road that seemed like it was covered three inches of melted chocolate, the kind that you never want to taste! You can see in the picture what we had to walk through! Thankfully, the construction is complete and we are getting to the point where I don’t have to think multiple times before I decide which shoes to wear to work. We have had a good first four months in Nepal. Our office is slowly taking its shape and we can already see potential growth in the near future. We have also been able to build a strong project pipeline, some in Kathmandu and some in the rural parts of the country. We will keeps the updates coming as our projects start to take life!